Featuring standout performance and hard-hitting satire, Dear White People builds off of the 2014 film with confidence, style and the promise of many more topical stories to come. Dear White People never had a chance. When virtually every TV show and film these days is mired in some controversy or another, one has to expect it from a project as fuelled by provocation as a series adaptation of Justin Simien’s critically acclaimed 2014 film. The recent uproar over the announcement teaser for the new Netflix show certainly helped set the stage for a divisive series to come, even if those who found that footage offensive likely didn’t understand the context. Using the prestigious (and fictional) Winchester University to provide a microcosmic view of large-scale racial tension, Dear White People is a satire at heart, and its social commentary – far more balanced than the mere 30-second teaser indicates – works best when it stirs up a reaction. By that metric, the show may already be a success. Created by Simien, Dear White People picks up almost immediately where the film ended, dealing with the aftermath of a controversial college party in which blackface plays a significant role. Simien based this development on similar real-life events, and the show neatly uses what served as the film’s third-act anchor as a jumping-off point for the drama to follow. While the movie does provide additional context, it’s hardly required viewing for those looking to jump right into the Netflix series, especially since it retcons as much as it borrows from its source material. Some sequences are verbatim reshoots from the film, but Simien and company redraw some of the character dynamics enough to make it all feel fresh. Unlike the film’s ensemble approach, Dear White People shifts character perspectives with each episode, a decision that liberates the show creatively while undermining one of the key elements of its source material. Although only a few cast members reprise their roles for the Netflix edition, the show wisely keeps the focus on the same set of characters. 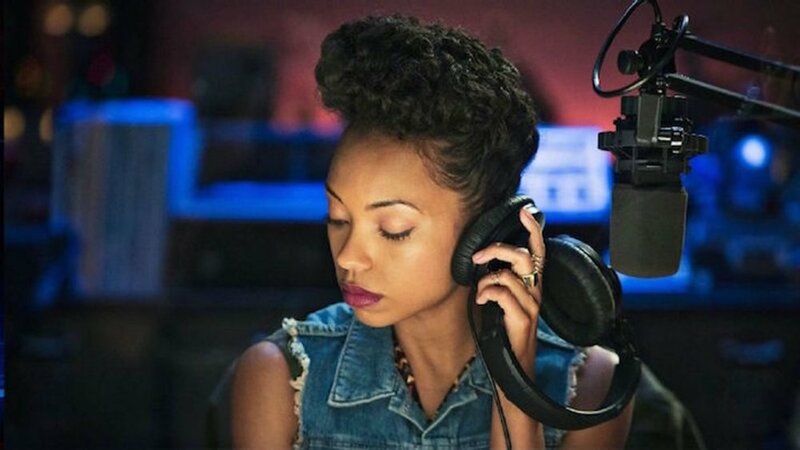 Logan Browning capably steps into the principal role of Samantha White, the civil rights activist and host of the Winchester radio program that lends Dear White People its name. Any actress would have had a difficult time matching what Tessa Thompson did in the film, and Browning arguably brings the same level of magnetism and complexity to the character. Sam remains one of the most compelling figures in the world Simien has created, which is saying a lot. Other new additions, like DeRon Horton and Antoinette Robertson, never truly escape the shadow of their predecessors but deliver charming, complex performances nonetheless, with Robertson in particular coming into her own by season’s end. Likewise, Brandon P. Bell brings the same swagger and inner turmoil to class president Troy Fairbanks here that he did in the film, though he doesn’t receive nearly enough focus to steal the show this time around. Instead, the true VIP of Dear White People turns out to be Marque Richardson as Sam’s unrequited love, Reggie. Another returning star, Richardson never truly claimed the spotlight in the film, despite some standout moments. For its first half, the show employs the same tactic, keeping Reggie firmly off-center from the main plot. However, episode 5 changes all that. Reggie finally gets the chance to headline an episode, and the show takes the time to fully explore his militant attitude towards race relations. Granted the chance to delve deeper, Richardson adds layer upon layer to his performance, painting a vivid portrait of Reggie that easily makes him one of the most interesting figures on the show. Accordingly, some of Dear White People‘s strongest themes – identity, race and the cross-section between the two – come to the forefront in Reggie’s episode, and it’s particularly fitting that Oscar-winning filmmaker Barry Jenkins (Moonlight) jumps behind the camera to direct such a pivotal installment, seeing as his film has many of the same interests in mind. More than just the show’s most powerful episode, Reggie’s story recharges the show’s narrative with a huge plot development that drives the second half of the season. It’s a pretty remarkable way to comment on racial tension, but that being said, fans of Dear White People‘s rapid-fire humor and incisive wit may balk at the more dramatic shift the show takes in later episodes. Overall, the storytelling in Dear White People is solid, despite the mildly jarring feel of its two halves. There’s a palpable sense of purpose that unites all 10 episodes and an artistic style that consistently elevates it. Sure, an intriguing plot thread or two remain unexplored throughout, and some characters are woefully underdeveloped by the end. But there’s little in the show that couldn’t be improved upon in season 2, even if the long-form narrative lacks the punch of Simien’s film. But make no mistake: there is much more room for greatness left in the world of Dear White People. As it stands, the show decisively takes its first steps to distance itself from the film, though it doesn’t quite reach the same heights. Yet.